Perhaps there is no cure but at the British Hearing Centre I found relief. I never thought I would need a hearing aid, unfortunately, as time went by, my hearing started to deteriorate and I developed Tinnitus. The specialist at the hospital did not offer any consolation: - The loss of hearing is due to wear and tear and there is no cure for Tinnitus. It got so bad that that I lost 95 % hearing in one ear and the Tinnitus became a very loud pitch 24/7. This is when I decided to visit the British Hearing Centre. Understandably, I was apprehensive but I found that Annette was very sympathetic and understanding, relieving me of my anxiety, she calmly explained that she would be able to help me but to start with she would have to test my hearing. After a very thorough examination, she did confirm the specialists findings and prepared a test sample aid for me try and see if it made me feel better. The relief was instant! The tinnitus subsided to the background and I could clearly hear the conversation. Did I order the prescription? You bet I did!! 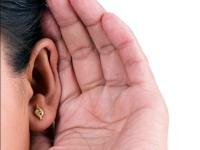 I thoroughly recommend the Hearing Ccentre for qualified professional advice and true sympathy.